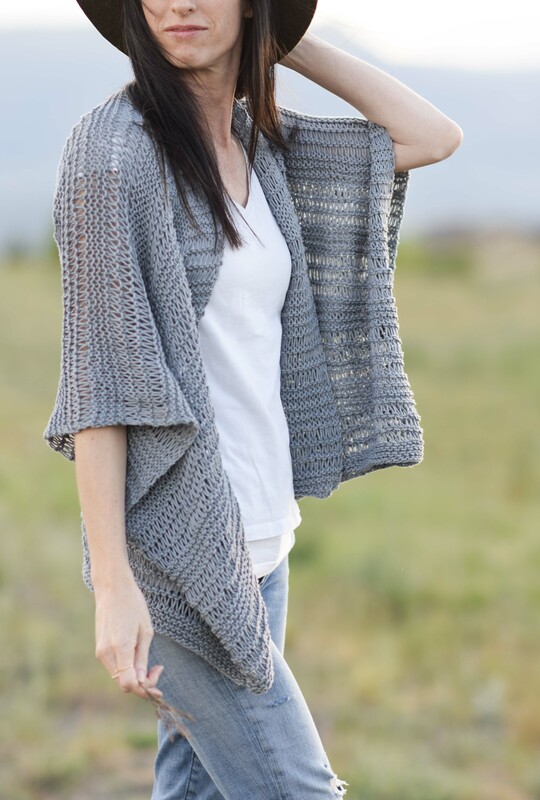 After crocheting the Barcelona Summer Kimono, I received many requests for a similar kimono to be made as a knit version. 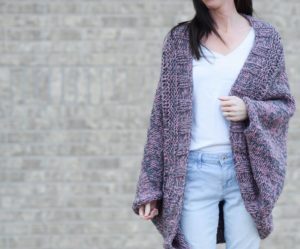 This knit Drop Stitch Cotton Kimono turned out to be light, drapey and comfortable to wear so I’m really happy to share it with you today. It uses easy knitting stitches including drop stitches and the basic knit stitch. I’d say it’s easy enough for a beginner who feels good about the knit stitch and is ready to move on from making a scarf! 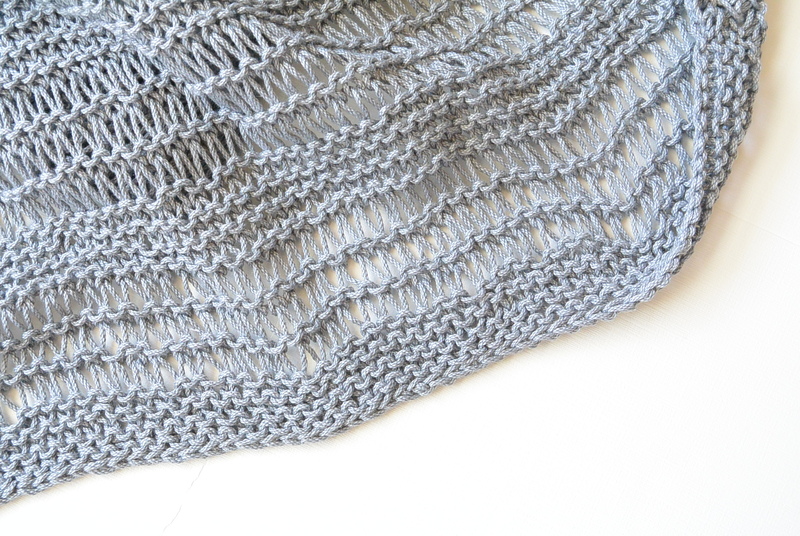 If you’ve never knit drop stitches, this is a fun piece to try it out since there’s no complicated shaping. The cotton yarn holds up really well and keeps it’s shape which is also a bonus! And you know me, I’m always comfortable with a nice neutral but can you imagine this kimono in a bright color for summer as well? I’d love to see if you one of you get brave with color on this one. 😉 As usual, you can find the free pattern below as well as the printable pattern available for purchase in my Etsy shop here as well as the full kit available in several color options (currently 25%) from Lion Brand here. 🙂 Yay! Below: This “Silver” 24/7 Cotton (here) is so pretty isn’t it? It has just a touch of sheen that brightens up the yarn just enough. Such a fun easy top to make! Remember you can see the full pattern below or may choose to purchase the printable version from my Etsy Shop HERE. 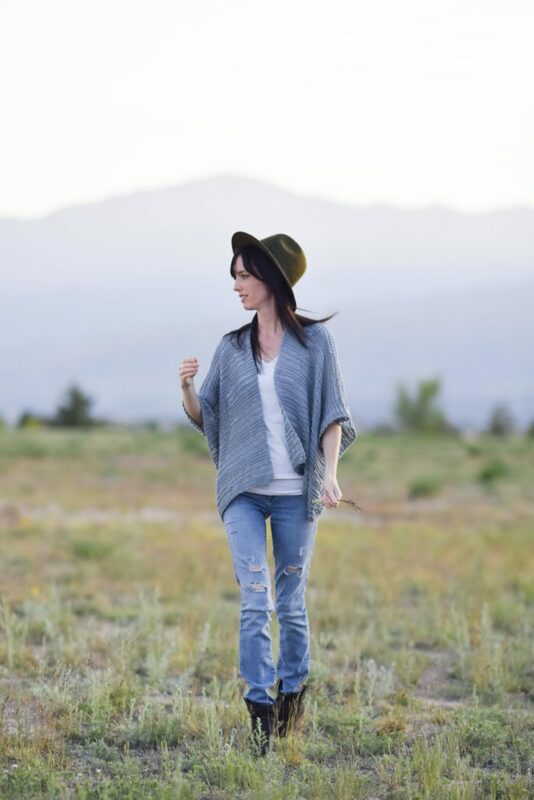 A beautiful and light cotton kimono that can be worn in any climate including during the warm summer months. 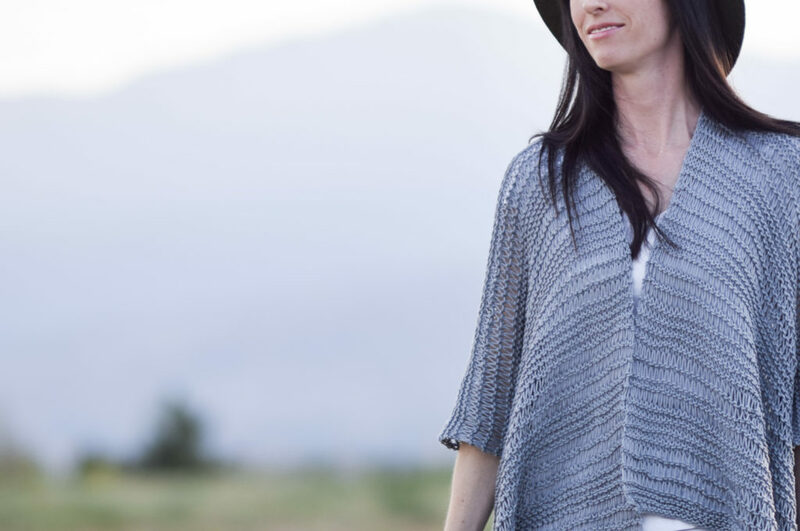 This beginner friendly pattern works up effortlessly as it’s created with simple knit stitches and drop stitches. Wear it for a day out with friends or take it on your next beach vacation to cover up in style! 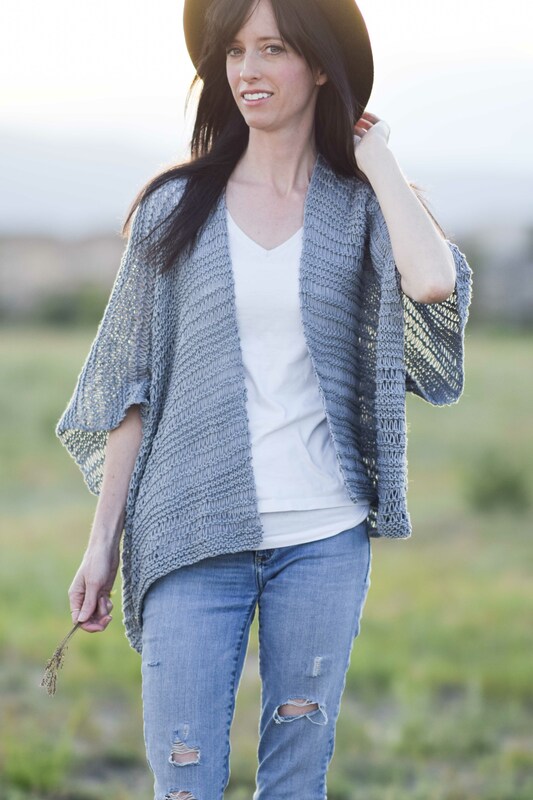 This kimono is knit mostly in the garter stitch and also includes drop stitch sections. If you’ve never worked drop stitches, they are quite easy to do! They are created by making yarn overs and then dropping them off the needle in the following row. There are many great video tutorials about the drop stitch that you can find by doing a simple online search. Two rectangular panels are knit and then seamed at the center and sides to form the kimono. 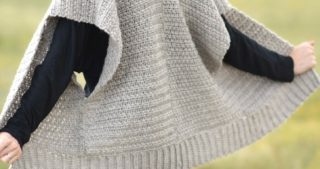 (See assembly section for details) You may make the piece longer by knitting more rows to make each panel longer than indicated in the pattern (keep yarn needs in mind). Blocking each panel can also increase the length once finished. Rows 10-13 Repeat rows 8 and 9, in that order, 2 more times. You will have 3 total sections of drop stitches. 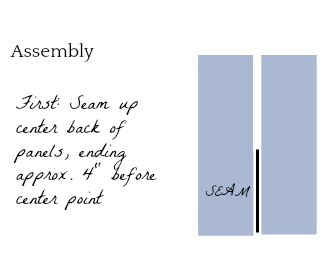 Repeat above pattern to make a matching second panel. 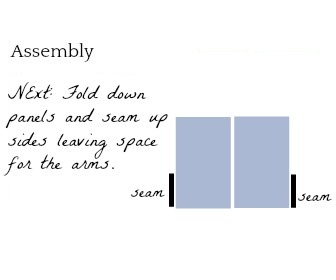 Place panels side by side on a flat surface while lining up the drop stitches and the garter stitch sections. With a length of yarn and a tapestry needle, seam up the center, stopping approximately 4” from the middle center. Next, fold each panel down and seam up each side leaving openings for the arms (approximately 12” long opening). I hope you enjoyed this pattern and please let me know if you have any questions! Thank you to Lion Brand Yarn for sponsoring this project and post! All opinions are 100% my own. 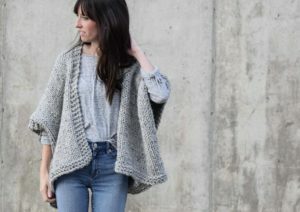 Finally another knit kimono pattern I can’t wait to start. I might use some multi-color ribbon yarn, but will probably opt for your silver suggestion. I’m so sorry about your pug. I had a grey and black pug Bogie whose back legs went out on him at 9 years. I got him one of those orthopedic carts with wheels and he lived ’til 16 years old. He’ll always be in my heart. . . . . they say that pugs are big dogs in a little body. All the best to you and your family. This pattern is beautiful. 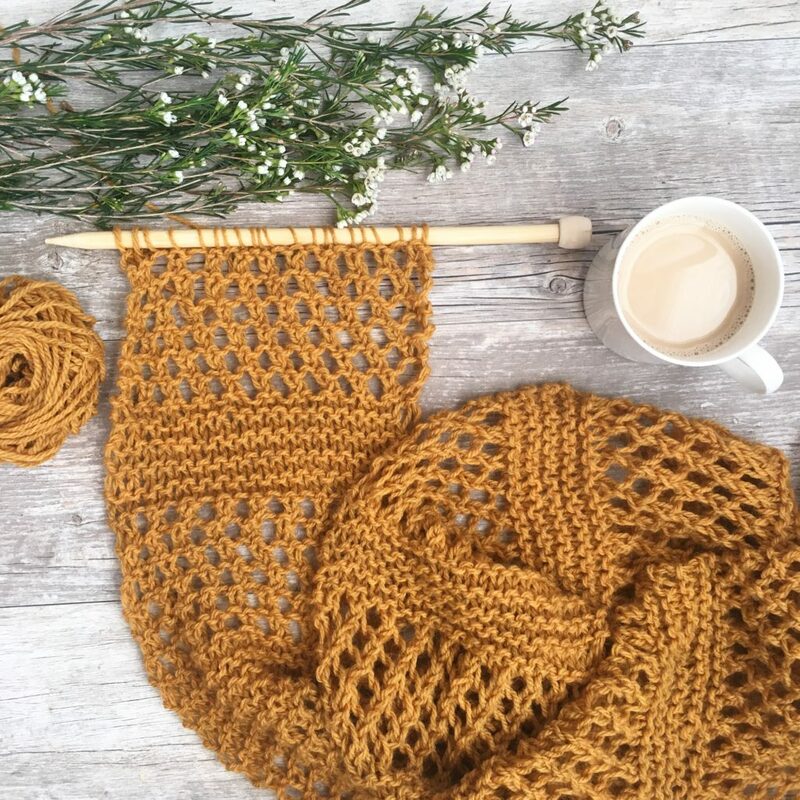 Do you have this pattern in crochet or something similar? Jessica, you always read my mind!! I honestly just knit up a sample with the drop stitch in cotton yarn wondering what garment to make with it! And now I know As always I just adore you and your simple, yet beautiful patterns! You always have the best ideas whether its knitting or crochet. I i am a knitter, but you have made me decide to learn crochet. I was uncertain as to what I would knit with my newly purchased skeins of Caron Cotton Cakes. Taa daa…I started the Drop Stitch Kimono this evening. Thank you Jessica. Would you know how many extra stitches to cast on for a 2-3x size. I love your patterns but I take a 2x-3x size. 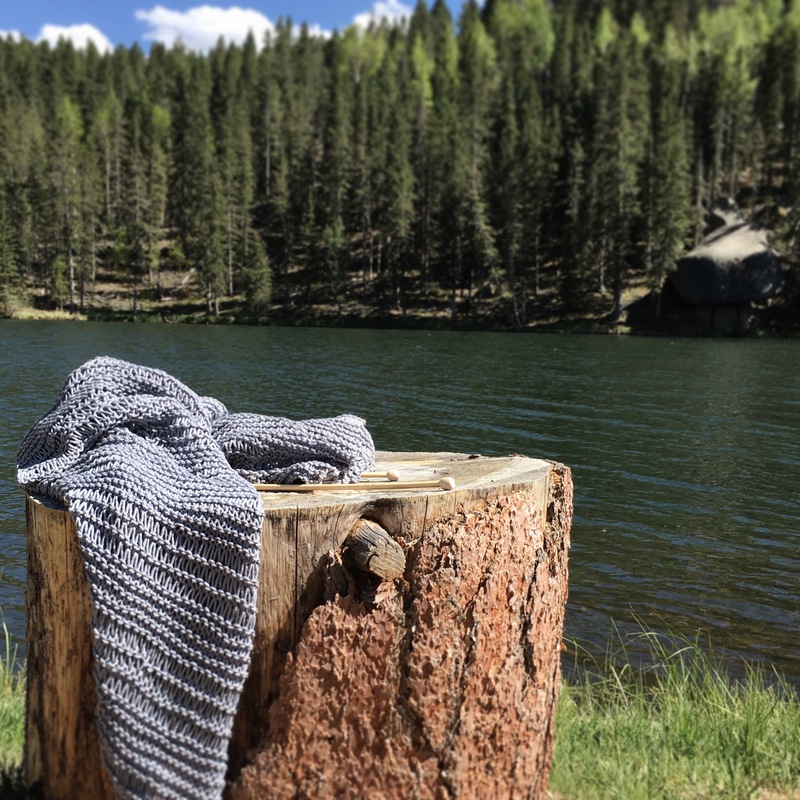 Thank you for sharing, and teaching your knitting and crochet work so simple, and I love it. I just finished a tunic using the drop stitch. It’s the first time I knitted the drop stitch. In effect it is easier than it seems. I used crude silk flat tape instead of cotton. This kimono pattern is really lovely and would be e great summer garment to wear both in the city and on vacation ad you suggest ad a cover-up at the beach. Thanks for this interesting pattern. 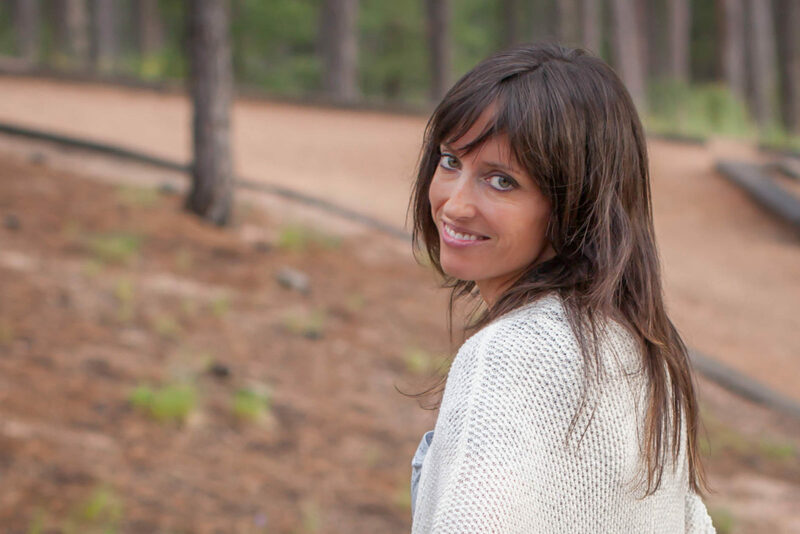 Jess, this is gorgeous! You truly amaze me! That Grey is so pretty too! Thank you for another beautiful pattern! You have really helped me on my beginner knitting journey. Could you knit the back in one piece and add a ball of yarn for the 2 front pieces. Gorgeous pattern! Is the sample you made the S/M or M/L? 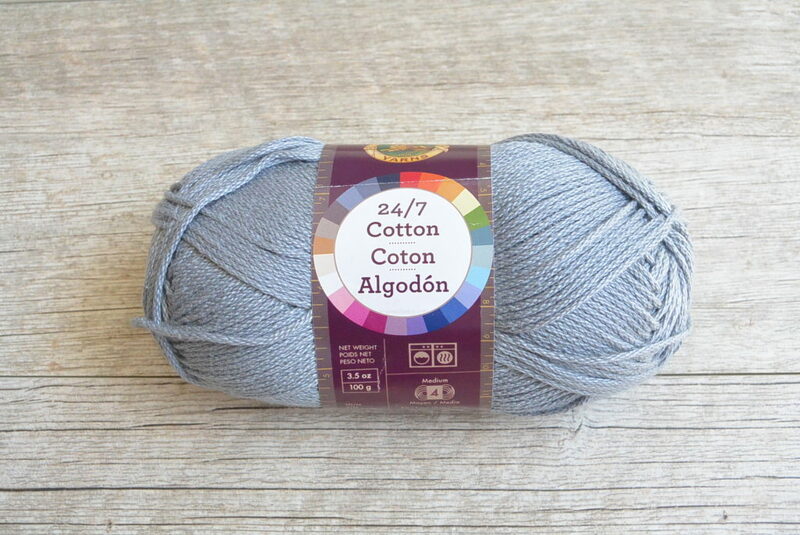 Hi, I really want to make this pattern and have 720 metres of cotton yarn. I am 155 pounds and unsure what size to make. It looks a really loose fit, do you think the s/m would be ok??? 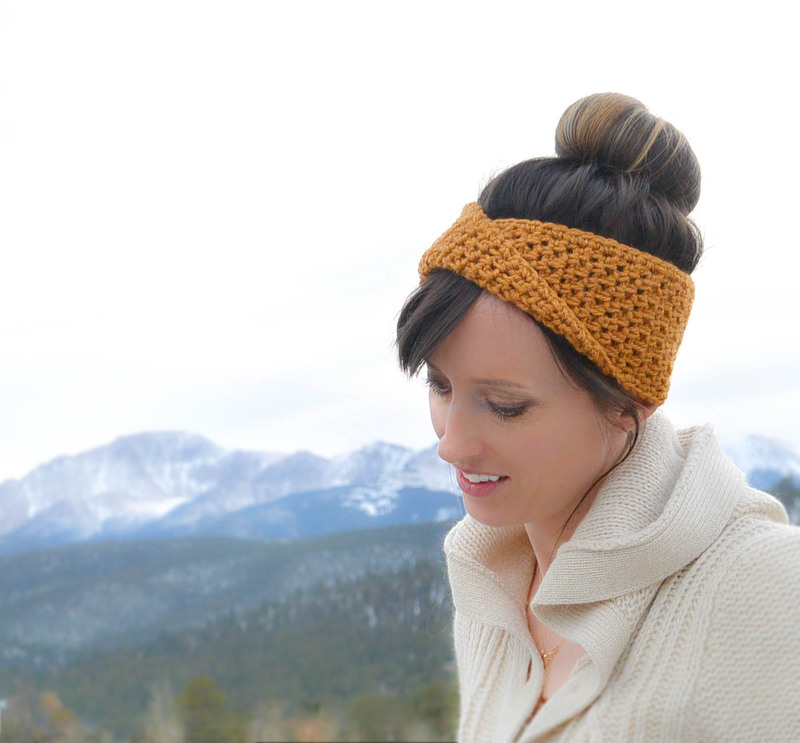 Jessica, I love this pattern but cannot knit, could you possibly whip one up in crochet. I know that’s asking a bit much, but feel that you are genius enough to handle it, whereas I’ve crocheted since 18 years of age and am now 70 but still cannot convert a knit pattern to crochet and have tried knitting but to no avail, I know lame excuse. I look forward to whatever response. I’m not sure if its an error in the pattern or I’m reading it incorrectly, but after row 8 of K1, yo, increase, I have 123 stitches on my needle not 62? Did I miss the decrease somewhere that will put me back to 62 sts? I see I’m supposed to drop the yo on the next row, which would put me back to the original 62 stitches, but not seeing how I’m supposed to have that number after an increase every other stitch. I also think you have an amazing talent for design!! 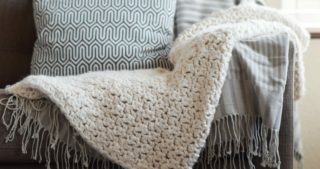 I’m knitting the heirloom blanket, and am thrilled with the result! Ahh, thanks so much Cate. I’m thrilled that you’re liking that blanket! I am finishing knitting both panels, but just curious as to how to seam them together. Specifically on the section with the dropped stitches. Did you use a specific seam method? In the process of working on this pattern, I discovered how much I dislike repetitive drop stitches. Thanks to enough experience to land me in the early phases of “intermediate” knitter, I experimented and learned that if I used a larger needle—I had an aged plastic Susan Bates 17 on hand (12.75mm) from another project—and made the drop stitch rows using condo knitting, the look came out basically the same, but I could skip the wrapping and dropping. I stabilized the lacy rows by doing one full row of garter on both smaller needles (size 10) between each of the three condo rows. I also opted to join the two panels where the neck opening would begin instead of making two separate panels and stitching them together later. Since I was working both panels on one needle to keep the tension the same, this meant that I could drop dealing with two skeins of yarn and just work back and forth to finish the length of the piece. Of course, my tension has become less tight with age and I discovered I need a little more than the 4 skeins in the Lion Brand kit to finish up—waiting on the last one to arrive and hoping the dye-lot will not be significantly different. 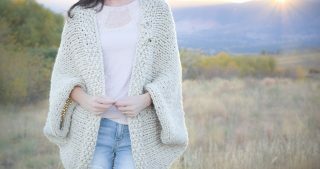 Love the soft and drapey 24/7 cotton and have also ordered two other colors since the first one was made for my adult daughter. I’ll definitely make one of these for myself as well—just can’t decide between white or silver. My daughters is denim and it’s going to be beautiful! Hi, i’m making this just now and I’m confused about row 8, at the end of row 8 it states I should have 62 stitches, but with all the yo’s that we don’t drop until row 9 I have 123 stitches, am I missing a step that would put me back to 62 stitches on row 8?